outside of the carton and ship PREPAID via standard UPS or its equivalent. 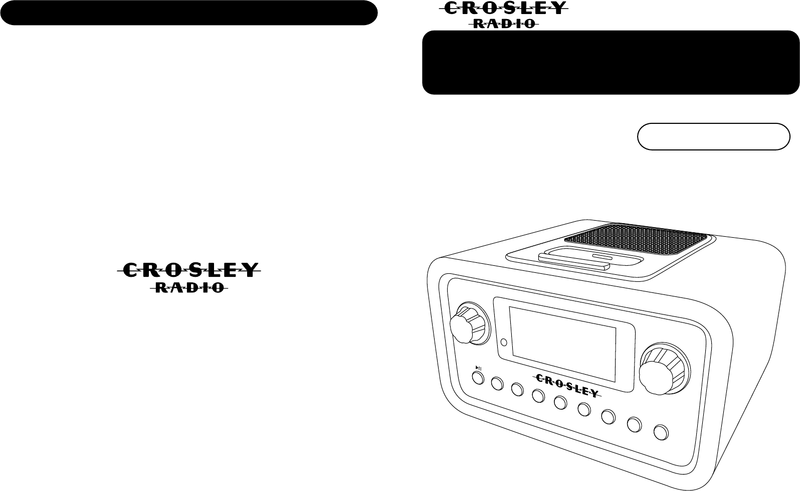 CROSLEY RADIO assumes no responsibility for units sent without prior Return Authorization. The purchasers bill of sale is the only proof of warranty entitlement and must accompany the unit. AS IS or consumables (such as fuses or batteries). This warranty is valid only in the United States. In accordance with the "Moss-Magnuson Warranty Act" of July 10, 1975, this is termed a "limited warranty"
which in no way compromises Crosley Radio high standards of Quality and Workmanship.